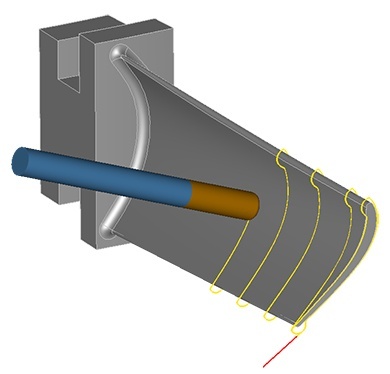 MAX-SB creates 5-axis CNC instructions for the milling of single blades. 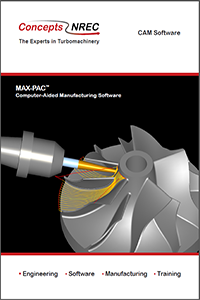 Our MAX-SB module generates tool paths for quickly machining single blade parts with smooth 5-axis motion. It is specifically designed for flat/torus cutters that are more efficient than a ball tool. MAX-SB also provides optimized angles for the smallest cusps, to avoid gouging in concave areas. MAX-SB uses 5-axis milling for efficient material removal, but 4.5- and 4-axis cutting is also possible. 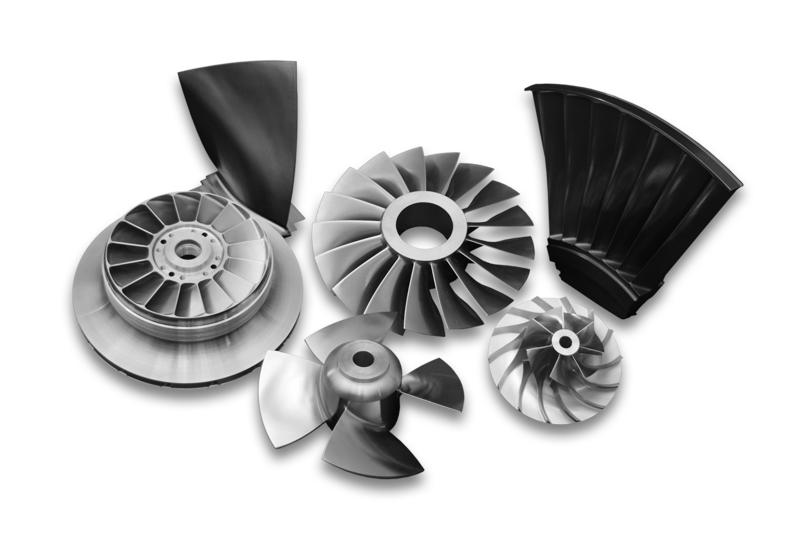 Single blade parts are fixtured with the stacking axis aligned with the machine rotary axis. MAX-SB is a trademark of Concepts NREC, LLC.